This natural unbleached Titanium Oxide has a beautiful chamois cream hue. High tinting strength and opacity. Suitable for all binders, including fresco. Q: Is this pigment non-toxic? What is the color index for this pigment? What is the lightfast rating for this pigment? 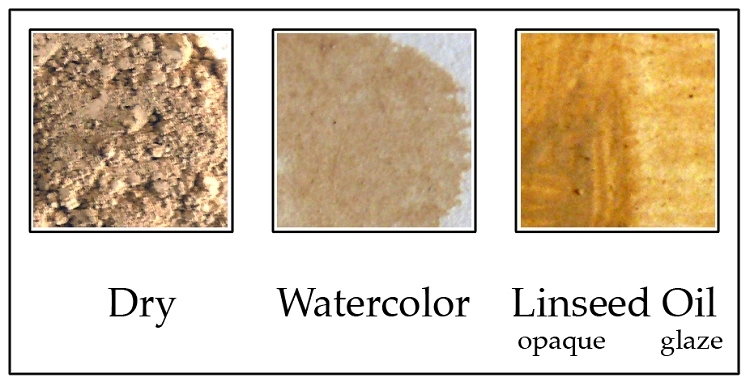 A: This pigment does not contain any heavy metals. CI # is PW64 and it is lightfast.